Ensighten -- the data and tag management provider that acquired TagMan in March 2014 -- has raised $53 million in a Series C debt and equity financing, adding to the $55.5 million raised for a total of $108.5 million to date. The funding, announced Monday, will further extend the company's mission of helping global brands simplify their use of customer data and drive intelligent interactions, based on one view of customers rather than many. Ensighten says it will use the capital to build out several of its platforms supporting enterprise tag management, mobile app deployment and optimization, and customer profile creation and activation. The company has a global presence, but will look to strengthen presence in EMEA and APAC. 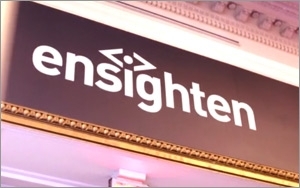 This year, Ensighten added customers Christopher & Banks, Citibank, Coca-Cola, Colgate-Palmolive, Delta, HD Supply, M7, Nationwide, PayPal and SunTrust Bank. Ensighten holds about three patents, with another three filed applications, ranging from analytics for mobile applications, to online privacy management, to online privacy management system with enhanced automatic information detection. The most recent patent application filing with the U.S. Patent & Trademark Office describes a process Ensighten calls "URL prefetching," a feature within the tag management system. Prefetching is the transfer of data from the main memory to temporary storage in readiness for later use. In this example, the tag management system comprises a recommendation system, a collection system, a non-volatile data store, a user computing device with cache memory, and/or other components. The tag management system allows "prefetching" of resource and assets, such as images, videos, widgets and more, while avoiding the skewing of analytical results. As a result, a user computing device may see higher performance and reduced latency without sacrificing the reliability of collected analytics data, according to the patent. Existing investors Insight Venture Partners, Lead Edge Capital, Mack Capital and Volition Capital led the new funding round, with participation from Silicon Valley Bank.